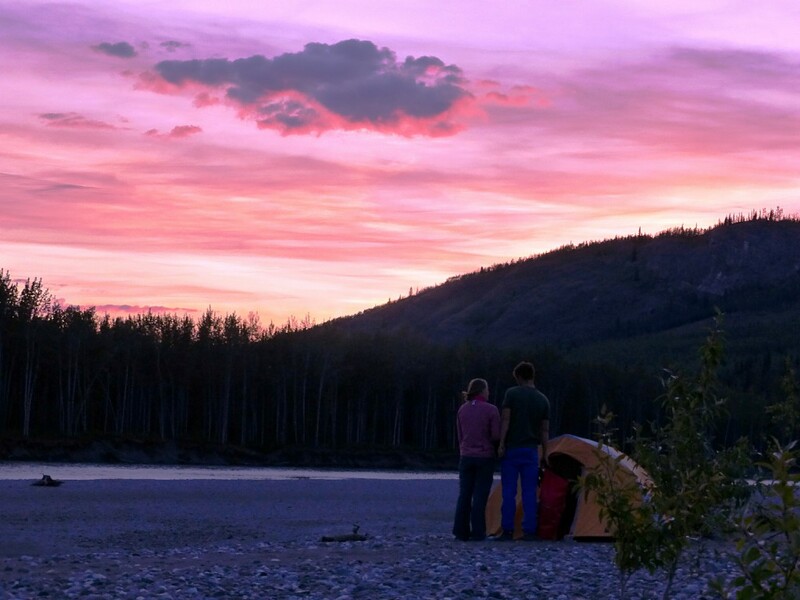 Taiga Journeys offers paddling, hiking and nature trips, cabin rentals and custom adventures in beautiful Yukon, Canada. Rates: $2320 CAD per person +5% GST for 3 to 7 guests. Single Supplement $210 per person +5% GST. 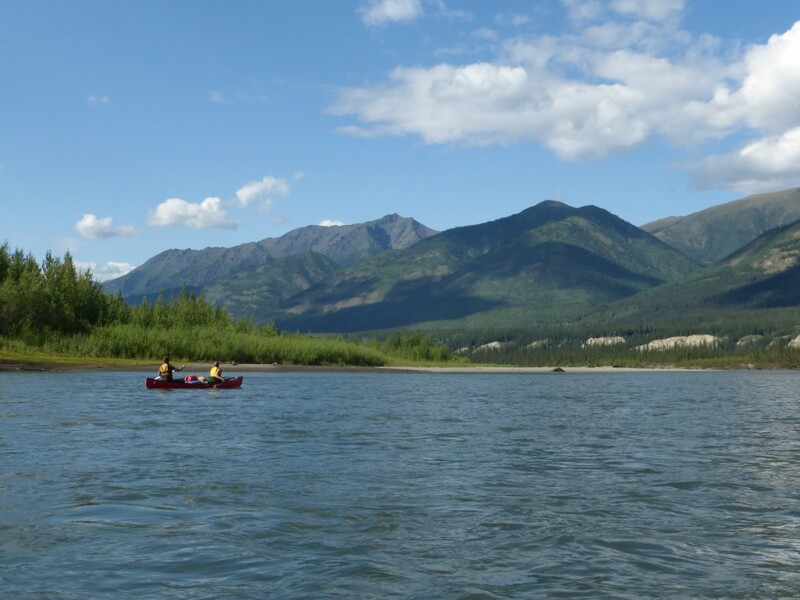 We paddle the Pelly River in central Yukon and experience a land that shows no signs of civilization but is home to wildlife like moose, bears and water fowl. This river appeals to the adventures beginner who is looking for a challenge as well as to the more experienced canoeist. 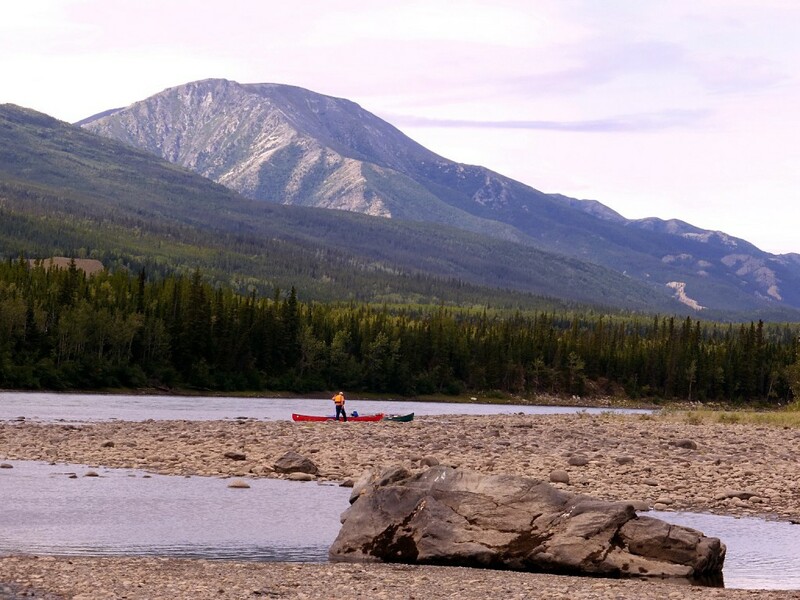 Paddling the Pelly River offers stunning views, great fishing and good wildlife viewing opportunities. Day 1: You arrive in Whitehorse and check-in at the hotel. In the afternoon you will meet your guide and the other participants for a preparation meeting. Day 2: Today, we’ll drive north on the Klondike Highway to Carmacks and further on the Campbell Highway to Faro. Here we will load the boats and already paddle a short distance on the Pelly River before we will pitch camp in the great wilderness of Yukon’s interior. Day 3 to 7: The first few days the Pelly runs leisurely through the Anvil Range. The valley is rather narrow and many creeks feed crystal clear waters from the surrounding mountains. Short stretches of white water let us stay alert, on calmer sections we will have time to try our luck angling for grayling. Later-on the valley widens and a hilly countryside puts the mountains farther back on the horizon. We have to watch for our way since here the river offers several channels to travel through. The grassy back channels and adjacent wetlands are ideal feeding grounds for moose and are also an important nesting and resting place for migrating birds. Towards the end of the trip we will have to proof our paddling skills while navigating the Granite Canyon with its fun white water. At the end of the canyon we will pass the impressive needle rock, sticking out in the middle of the river. Day 8: On the last day, the Pelly offers again a gentler ride. 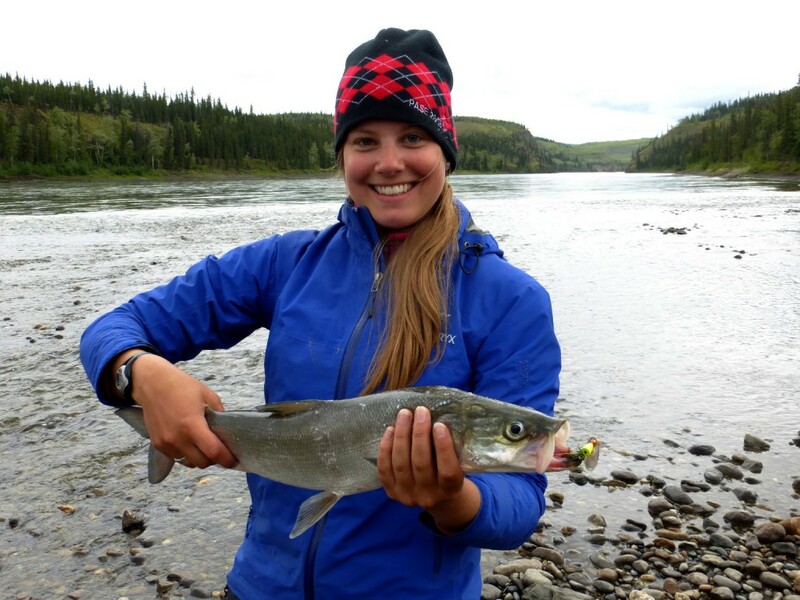 We will pass a few traditional fishing camps of the local first nations. Early in the afternoon we will arrive in Pelly Crossing from where we will be picked up for the drive back to Whitehorse. In the evening you will check-in at your hotel where a hot shower and a comfy bed await you. Day 9: Full of great memories you will move on at your own pace. All transportation described in this itinerary. Meals and snacks during the canoe trip. Emergency equipment, including satellite phone. Professional guide services for the duration of the trip. Paddling equipment for the canoe trip. Camping equipment, except sleeping bag and sleeping pad. Trip cancellation, travel and medical insurance. Expenses in Whitehorse and on the road. Angling licenses and angling equipment. Items of personal nature and souvenirs. The Pelly River is a class I to II – rated river and is suited to paddlers with limited experience. We will paddle 4 to 6 hours a day. A detailed list of equipment will be provided prior to the trip. Our guides are all trained in wilderness travel and are first aid certified.